The likeness and character that is presented in this George W Bush bobble head collector�s item is priceless. Having served as the 46th Governor of Texas from 1995 to 2000, he took the presidency a year later. 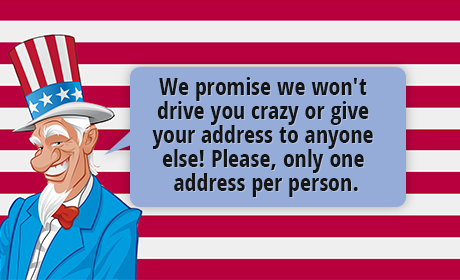 This 43rd president had a turbulent presidency due to occurrences beyond his control. Only 8 months into his first term as President of the United States, the unforgettable and horrific September 11 terrorist strike took place. His resolve to combat this was unrivaled as well. 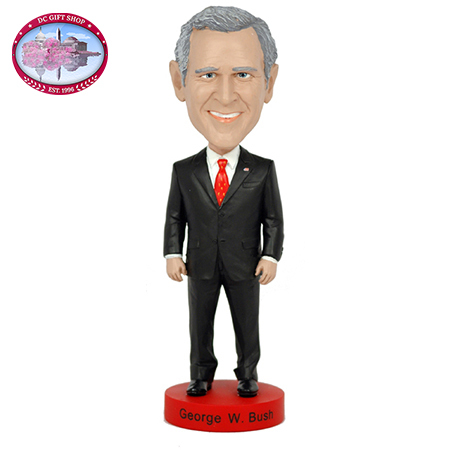 While this bobble head toy�s image is of this past president�s authentic smile, there is much more to be told. Bush Jr. served two terms as president, and was serving while two wars were underway as well. While there is mass talk about what he could have done, George W Bush had resolve, defined character, and determination. This bobble head illustrates him as a refined gentleman, from his red tie, to his conservative suit. He stands proudly; smiling out at the American people. While he was a highly controversial president, he was still every bit a profound leader in the minds of many.